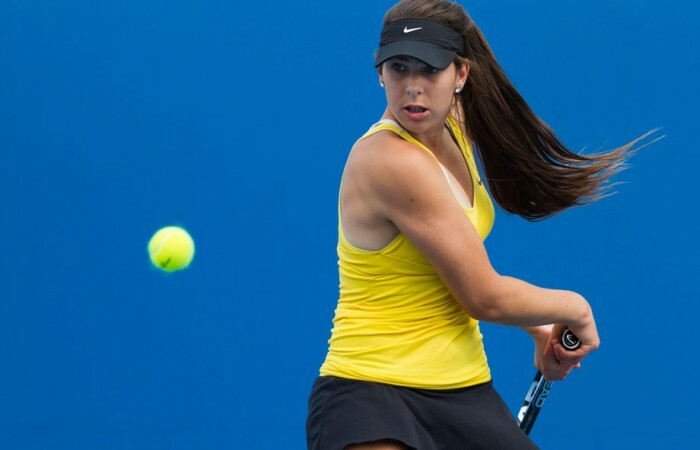 Annabelle Andrinopoulos’ run of form in the Optus18s Australian Championships qualifying event has continued after securing entry into the main singles draw. Andrinopoulous defeated Queenslander Olivia Tjandramulia in three sets 6-2 4-6 6-4 after yesterday upsetting the number one seed Lyann Hoang. The 16-year-old looked in complete control of the match early after cruising to a 4-0 lead in the first set. 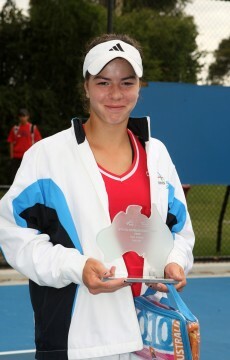 Her power from the back of the court held her in good stead as she comfortably closed out the set and appeared on the verge of qualifying for her first 18s Australian Championships. But it was not all smooth sailing for the Victorian as Tjandranmulia rediscovered her rhythm and ensured a much more evenly poised second set. Tjandranmulia came out firing in the second set, racing to a 3-1 lead thanks to some attacking play that saw Andrinopoulos forced onto the back foot. 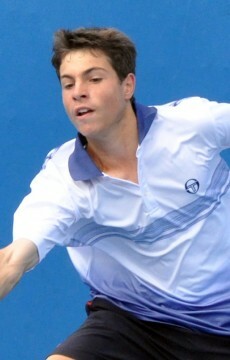 A fightback was on the cards when Andrinopoulos broke back before holding serve with an ace to get the score back to 4-4. 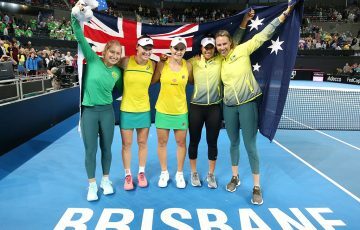 Inconsistency eventually proved to be the Victorian’s main downfall as she succumbed to Tjandramulia 6-4 in the second and was forced into playing a deciding final set. The matched looked set to go down to the wire as both players sought to adopt attacking game styles from the baseline. But with scores locked at 4-4, Andrinopoulos finally got the break through when she broke the Queenslander’s serve and went on to serve out the match. Speaking after the game Andrinopoulos said she was thrilled with the result. 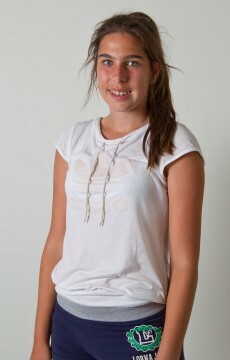 “I was really pleased that I could get through. 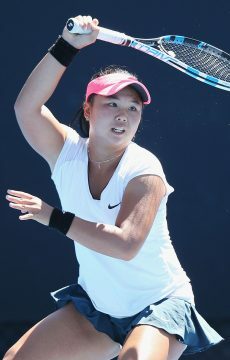 It’s the first time I’ve qualified for the 18s so I’m really excited,” she said. Meanwhile in the other girls’ qualifying match, fellow Victorian Stefani Stojic accounted for third seed Elizabeth James 6-3 3-6 6-1. 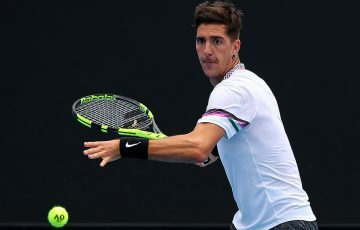 James struggled to find touch early as Stojic cruised to a 5-1 lead in the first set. The second set was a different story as James elected to attack the Stojic serve by stepping into the court to take the ball early. A series of wayward errors from the Victorian let James back into the game with a 6-3 win in the second set. Eventually it was Stojic who was able to retain her lead breaking James is her first two service games before going on to win the deciding set. 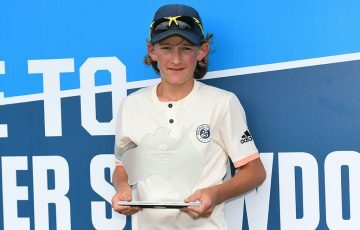 On the boys’ side of the draw New South Welshman Nick Horton caused the upset of the round, downing third seed Lawrence Bataljin in straight sets. Horton came out of the blocks swinging to take the first set 6-2. Bataljin was desperate to get himself back into the match in the second set but was no match for the precision of Horton. Solid serving saw Horton retain his mental advantage over Bataljin as he progressed to a 6-3 win in the second set. Horton said he was thrilled with today’s performance and excited for the chance to compete in the Optus 18s Championships. “I had a lot on the line today, I was pretty nervous. I haven’t been playing really well in the lead-up to this so I was happy to get through,” he said. In the other qualifying match today Victorian Aaron Addison defeated Thomas Fancutt 4-6 6-3 6-0 in what was an emotionally charged encounter. Queenslander Fancutt drew first blood in the match taking the first set 6-4. Both players appeared increasingly frustrated at times following a string of unforced errors. The second set saw a rejuvenated Addison play out a 6-4 win before maintaining his momentum into the decider and posting an emphatic 6-0 score. 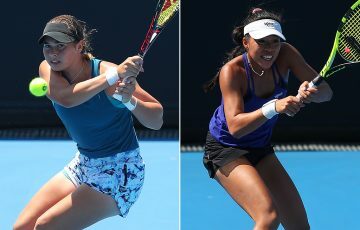 All winners from today will be given entry into the Optus 18s Australian Championships starting on Tuesday 4 December.